How many of you love decorating for the holidays? When I was a kid, I loved when it was time to decorate our house for Christmas. Typically it was my job to assemble the tree and take care of all the decorating. One year, the first year I could drive, I saved my money and surprised my mom with something she hadn’t had in decades, a real tree. After experiencing for the first time in my life a real tree, I couldn’t imagine going with anything else. Just the smell and pure beauty is something I now associate with Christmas. Now that we have our own house and aren’t planning on any business travel, we are doing something for the first time as homeowners – really decorating our home for Christmas (beyond just a tree). In all honesty, I am hopeful that we will even have Christmas at our house this year, so I’ve been wanting a beautiful Christmas wreath, table topper, and baby Christmas tree for our office. My biggest issue, once I did some research, was that many places that sell ‘living’ Christmas items don’t care about conservation. Being someone that tries living naturally and giving back to our environment, this absolutely horrified me. While the fresh smile of pine and evergreen is one of the most wonderful smells in the world to me, I don’t want it at the expense of forests. Luckily, I found a company that not only believes in conservation during the holiday season, but makes the most stunning wreaths and hand crafted Christmas items I have ever seen – Mickman Brothers Inc. After talking to them about their hand crafted gifts and Christmas wreaths, I was excited when they offered to send me a wreath, centerpiece, and tree to share with my readers. To say the least, I think you will be just as impressed as me! 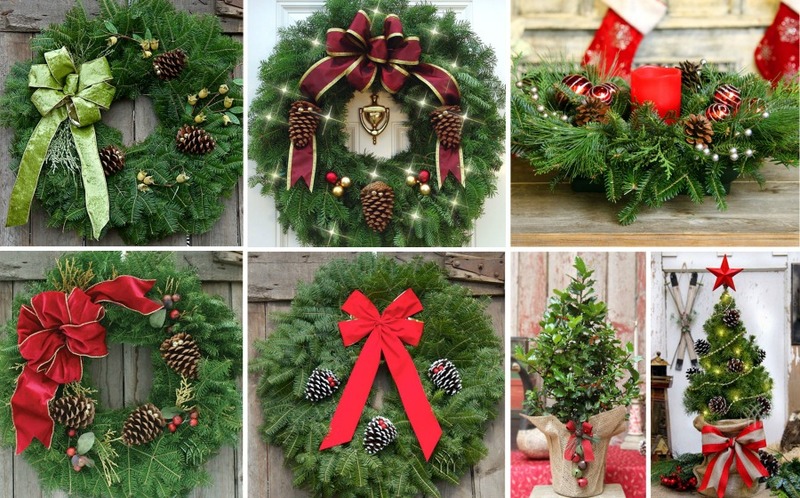 With so many options for holiday items, why go with a Christmas wreath from Mickman Brothers? We are so glad you have asked! Since 1934, they have been making handcrafted wreaths that are not only gorgeous but created without harming trees. All the balsam trees used for their holiday products are the tips of the branches, giving the tree a ‘hair cut’ rather than cutting vital limbs. They then allow the tree to regenerate until it is ready to trim again 3 years later. Not only that, but for every gift purchased on the site, they fund the planting of an evergreen seedling to help rebuild our nation’s forests. Since 2007, they have donated over 600,000 seedlings in 46 states, and have a goal of reaching 1 million! For a family owned, full-service green industry company, that seems pretty impressive to me – I know I would personally prefer getting all of my holiday greenery from a US based company that gives back, and I’m sure many of you feel the same! 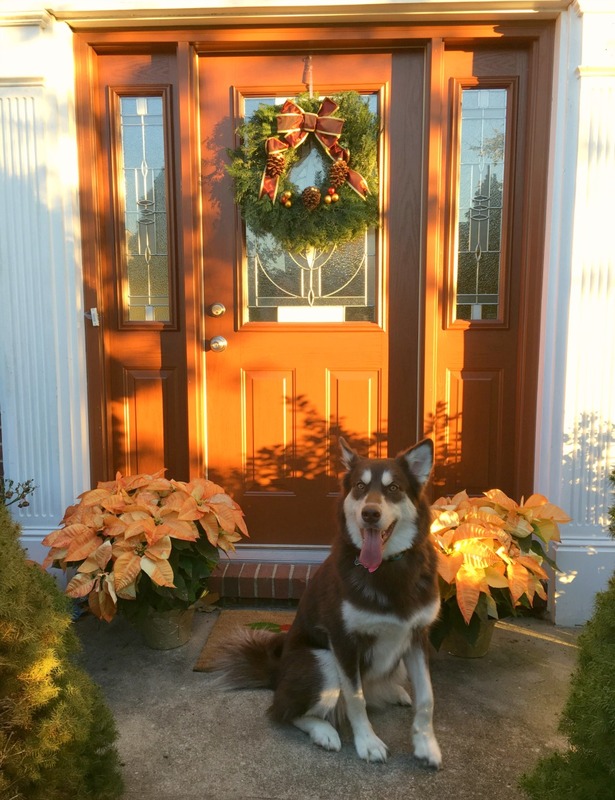 Excited about decorating outside this year? 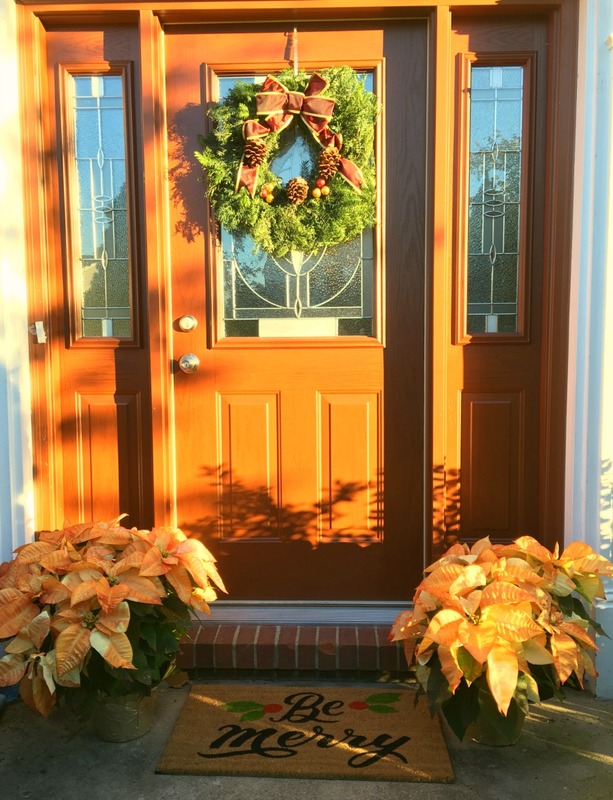 Give your porch an old world, elegant look with a gorgeous Victorian Wreath. This handcrafted, Balsam Fir Wreath features a beautiful satin bow with imprinted wired golden edges to hold its shape. 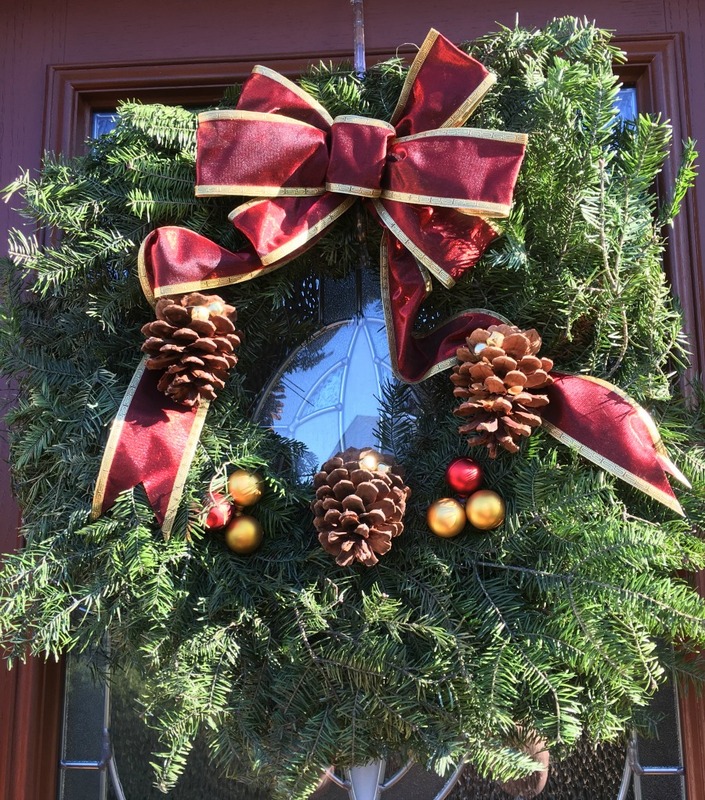 As well, the trimming includes natural Ponderosa pine cones accented with gold jingle bells and matching Christmas bulbs to create a gorgeous, fashionable Christmas wreath that is sure to get attention this holiday season. When you first take this wreath out of the box, I will be honest, it is breathtaking. It is one of the most gorgeous wreaths I have seen in my life and has the most wonderful smell, bringing the sense of Christmas into your household. Along with being easy to hang, this 25” diameter wreath also pairs very well with other outdoor decorations, making it a great fit for just about any occasion. From the moment you first see this wreath, ti is easy to see why it is the most popular wreath sold at Michman Brothers. Currently, you can buy this Victorian Wreath for just $36.21. Do you want to make your table shine this holiday season? Have all eyes on your table with a beautiful candlelit centerpiece. This holiday centerpiece is bursting with natural-scented mixed evergreens. While it smells amazing, it also grabs the eyes with beautiful festive decorations, including pinecones, ornaments, and an LED candle (often the best choice for small children and pets). One thing this centerpiece does well is give the feel of elegance while still being perfect for even the most relaxed of families. 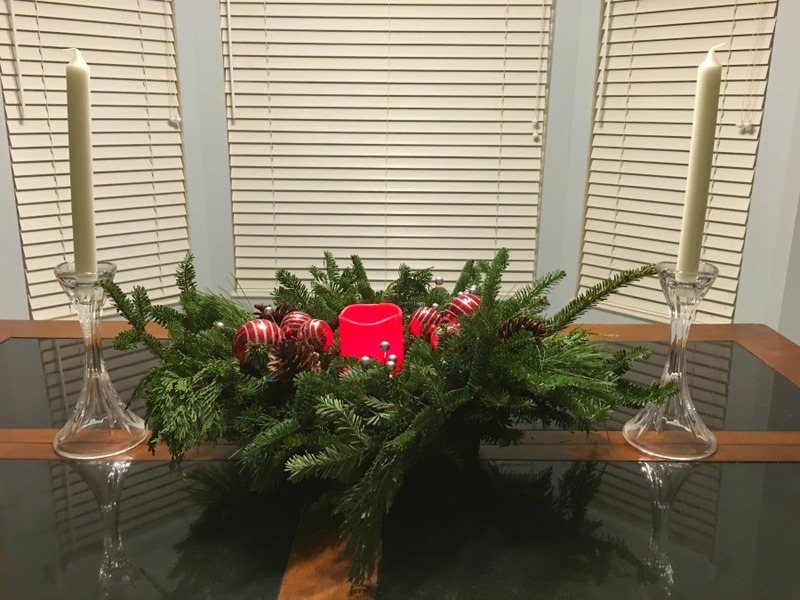 IN our household, I love that it fits perfectly in the center of our table and makes a statement with its mix of red and green colors, giving the perfect holiday feel mixed with nature. Best of all, it stays fresh and moist with the floral foam hidden in the base of the wreath. In other words, you have a natural centerpiece that will stay fresh throughout the holiday season with proper care. Currently, the Candlelit Centerpiece is available for $37 and you can add an LED candle for only $2.40. Don’t have the room for a full sized Christmas tree, or just want to give that Christmas touch to your home office, hallway, or dinner table? 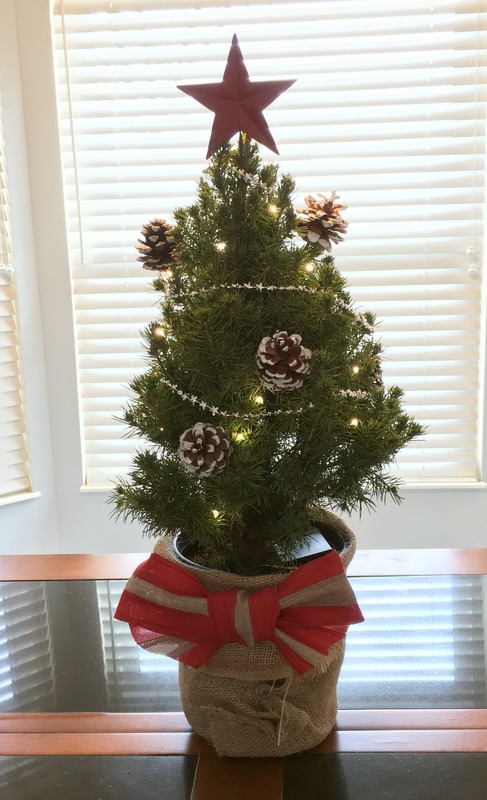 Bring Christmas home with the North Star Table Top Christmas Tree. Unlike most tiny trees you can buy in stores, these are living trees with their roots still attached, that you can plant after the holidays or enjoy indoors year round. Each of these trees arrives with 7 frosted and glitter cones, along with a star garland accent. For those who love the old fashioned look, the tree is also wrapped in burlap with a matching ribbon, offering a traditional look that is perfect for the holidays. This tree also has an LED light set with timer, giving this tree the true Christmas feel that most of us remember from our childhoods. With regular watering, it will stay fresh throughout the holiday season (as long as you follow the care instructions included). With Christmas being one of my favorite holidays, I have been bouncing this little tree between our office and living room. It is so easy to move with its small size and best of all, I can plant it in the yard after the holidays. Currently, the North Star Table Top Christmas Tree is available for $34.25. We hope you enjoy these beautiful holiday items as much as our own family! Make sure to pre-order today to get these beautiful holiday decorations in time for the Christmas season! Want to learn more? Follow Michman Brothers on social media! Disclosure: Budget Earth did not receive monetary compensation for this review, but did receive products for review purposes and may include affiliate links above. All opinions on this product are my own honest assessment, and may differ from our readers’ opinions. These are beautiful! I love the wreath on your front door and the centerpiece on the table. So pretty! Mickman Brothers have some very nice Holiday products. I love their wreaths! I love the wreaths!! They are absolutely stunning! I wish I could see them in person, but I imagine they are even prettier than the pictures. I’m impressed! Thank you for sharing!! I was just thinking I’d love a centerpiece! Great company to do business with!! I love them!! The smell of fresh pine at christmas is one of my favorites!! I think that every door needs a wreath!! Especially one so gorgeous as this!! I am so loving the wreath and look at all the other pieces you can get when you order through them I had no idea they have been together since 1934, wow!! Wow–how beautiful! And very reasonably priced. It’s nice to know about this company–thanks! These Mickman Brothers wreaths, centerpieces and table top trees are beautiful and their prices are great. What I was amazed to learn though is that they are able to make many of their decorations without cutting down trees. I have never heard of anyone trimming branch tips to create wreaths but leave the tree alive. I love their wreaths. And what nice centerpieces. What a pretty wreath. It gives the home a very warm, welcoming look. these wreaths are beautiful. I would love to have some of them. Kudos to you for searching for and finding a company that is eco-friendly! Kudos to the company for their eco-friendly methods to provide wreaths! Absolutely gorgeous wreaths. It is such a special touch for the holiday season. These are some of the prettiest I have seen.